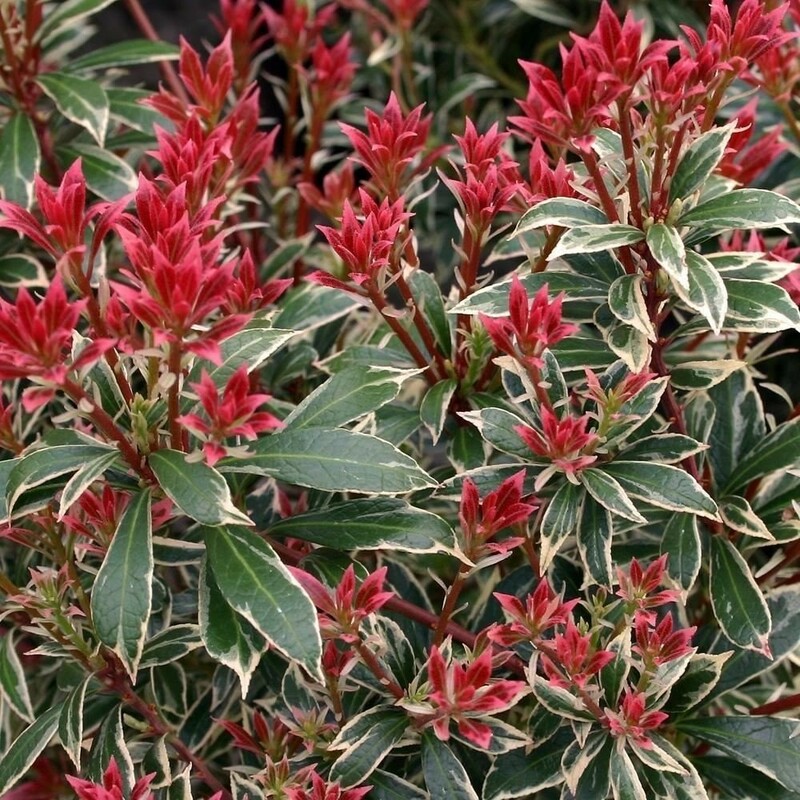 Pieris Little Heath is a fantastic compact evergreen providing all year round foliage colour. Little Heath is admired for the whorled evergreen foliage edged with cream, with the new growth and tips of the foliage turning pink-red through the year. In spring creamy white bell shaped flowers - reminiscent of lily of the valley - appear above the foliage. The compact habit of Pieris japonica 'Little Heath' makes it the ideal shrub for growing in patio pots and planter. This dwarf variety grows to just 60cm in height and is easy to maintain, requiring minimal pruning. A lovely addition to borders and eye-catching patio containers. Supplied as bushy plants in approx 1 litre containers.